STU48 will have their very first television program who will start on 27th may and will be broadcoasted on 5 TV channels, including Nippon TV. It will follow the first step of STU48 as a group. The name is “Shukkō! STU 48 ~ Setouchi no shōjo-tachi no chōsen ~” which can be translated by “Departure ! STU48, the challenge of Setouchi’s girls”. Takuro from the group GLAY gave a guitar to Yamamoto Sayaka as a gift. Umemoto Izumi ! She’s now 20 years old. Ume was born on 15th may 1997 in Fukuoka. She was an HKT48, Team H member, from the 2nd generation. She left the group on december 2015. Ichihara Yuri ! She’s now 30 years old. 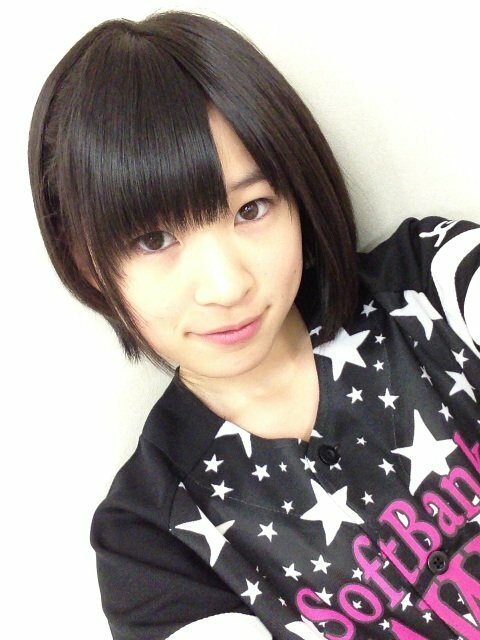 Yuririn was born on 15th may 1987 in Aichi. She was a SKE48, Team KII member from the 2nd generation. She left the group on november 2009.